SmartGuide App Turns Your Phone into a Private Guide! 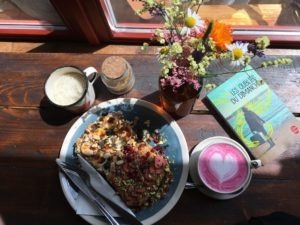 05.08.2018 05.08.2018 Lucie Patkova Country, Expat, Featured, Places to go, Practical tips Leave a Comment on SmartGuide App Turns Your Phone into a Private Guide! Have you ever thought about a travel guide application when exploring a foreign destination? In the Czech Republic, there is one now – called SmartGuide. 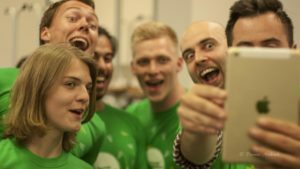 Startup Weekend in Brno Is Running Again This Year! 25.07.2018 25.07.2018 Camille Springaux Country, Culture, Education, Event, Expat, Featured, Food & Drink, Living, MeetUps, Miscellaneous, Places to go Leave a Comment on Startup Weekend in Brno Is Running Again This Year! Have you ever heard about Startup Weekend? It is a 54-hour competition during which creative minds pitch their ideas and share their thoughts all together to try to get a viable product by the last day of the event! Prague belongs among the cheapest cities in Europe which means that you can properly enjoy your stay on a budget! Today, we’ll serve you our tips for lovely places in town where you can eat good food without ruining your bank account! Living abroad is an exciting but difficult experience at first. 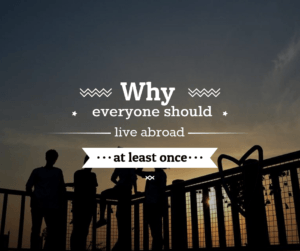 Every expats has faced the culture shock, the feeling of being disconnected to your loved ones, and wondering if you have made the right choice… We know it but don’t worry, it won’t last forever! It’s not easy to overcome homesickness, but it’s possible. We have summed up some tools to begin feeling at home in your new city! 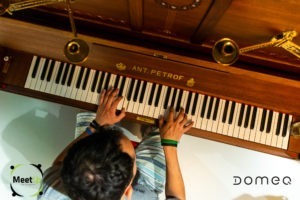 Are You Looking for Pianos That Are Available to Public? There Are Two Hidden Ones in Very Unique Place of Domeq! 02.07.2018 Camille Springaux Country, Culture, Event, Expat, Food & Drink, Living, MeetUps, Miscellaneous, Places to go 1 Comment on Are You Looking for Pianos That Are Available to Public? There Are Two Hidden Ones in Very Unique Place of Domeq! Domeq in Brno creates a modern, supportive environment for its tenants. The combination of privacy, social life, and an inspirational atmosphere has led to a cultural melting pot where modern professionals can find their home and enjoy the music from different cultures. 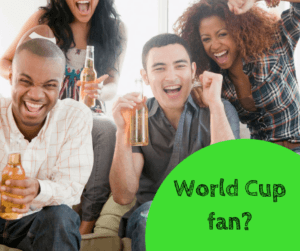 Is your home country playing in the 2018 FIFA World Cup? Are you looking for a place in Brno to cheer for your favorite team? If so we have a tip for you! Moving abroad is rewarding. Here are some of the many reasons why people dream of relocating to a foreign country. Yes, you will need some strength, but it will be an experience of a lifetime. You will have so many stories to tell. If you’re still wondering if you should take the leap, you’re at the right place! Prague, also known as the city of thousands spires, is beautiful. That’s a well known fact. It is even more beautiful from the top, though! We pulled together our list of the 10 most stunning views of the city. Learn about them with us!